Over the past two months, many of us in the Independent Media have said it again and again, Jade Helm is about subjugating the American people who will one day rise up to what is coming. As the American people are kept in the dark about the true nature of Jade Helm, members of the Independent Media have been very consistent about pointing out that Jade Helm, because of its involvement of Special Operations Forces, the “drill” is clearly designed to practice political dissident extractions which would be executed prior to the imposition of martial law. This is a simple and logical conclusion to draw because this is what Navy Seals, Green Berets, etc. do in pre-combat activities. The involvement of ARSOF in Jade Helm as a primary player, speaks clearly to intent. What I never counted on would be the fact that Jade Helm would ever let any part of these kinds of activities to ever become public. The military has now allowed planned political dissident extractions to become verifiably public, and most amazingly, they did so with the release of video that the military, itself, would make, produce and then disseminate. Gigantic war games, along with a massive military convoy, are commencing in Colorado, prior to the start of the supposed start of Jade Helm 15 exercises in July which has now been officially moved up to June 15th. This ancillary Jade Helm drill is called “Raider Focus” and it is turning Southern Colorado and the Independent Media on its ear. Raider Focus, which I am told, is merely a subset of Jade Helm, has been the sold to the citizenry as merely war preparations in the Middle East and this has nothing to do with the imposition of martial law. 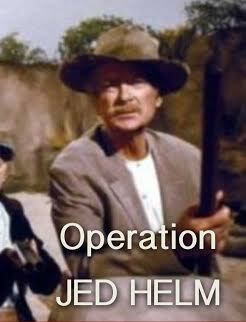 Fox and Friends actually referred to the drill as “Jed Helm”. And anyone who dares to profess the belief that “Jed Helm” is about martial law also is dumb enough “to believe in Chemtrails and we all know that is not true”, said Fox and Friends in a recent broadcast. 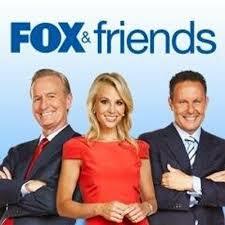 Fox and Friends further stated that Alex Jones scares people and that nobody should listen to him as they invoked the “giggle factor” to discredit what clearly is a martial law exercise directed towards the American people. And of course there are the sloppy disinformation agents at KHOU TV, in Houston, who told the blatant lie in which they stated that I claimed that Americans were “being slaughtered inside of Death Domes in Texas”. Who could forget that the Washington Post actually had an article pinned to the top of Google for five days which proclaimed the insanity of linking Jade Helm to martial law and political extractions in an attempt to discredit Jade Helm naysayers. I could go on and on with the near universal media ridicule of Jade Helm detractors, but you get the idea. Yet, despite the extreme obfuscation of the truth about Jade Helm by the six corporations that control the vast majority of the dinosaur media, the military is now providing the public with evidence which serves to validate the concerns that Jade Helm is a clear and present danger to the American people. In a sight in which I could not believe my eyes, at the 3:40 mark in the following video, we see military forces rehearsing extraction drills on citizens. 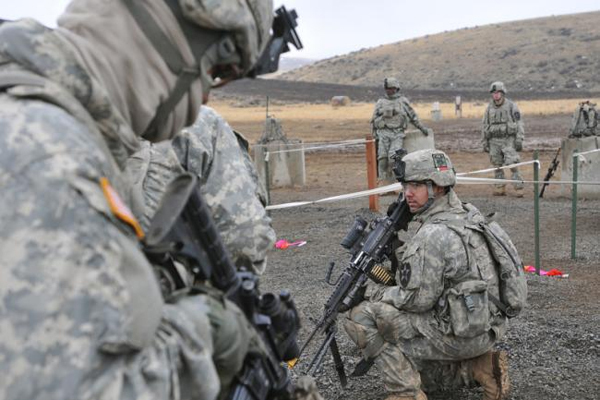 Why would the military release video-taped images of what are clearly extractions drills? In the video, they even refer to the captured citizens as “detainees”. Check out the martial law manual, FM 3-39.4 nd FM 3-39.33 and the reader will see that this is the universal term for individuals who will be incarcerated in what are commonly referred to as FEMA camps. Again, I ask, why would the military provide the Independent Media with such smoking gun evidence which serves to validate our allegations that Jade Helm is directed at the American people? This question will be analyzed at the end of this article. Just for now, let’s suffice it to say that this is a planned leak of very damning information. In another leak of information, we have yet another video which demonstrates that a permanent martial law force is being prepared to be unleashed upon the American public in a matter of months and the source of the information is stunning. Amy Goodman, the host of the PBS show, Democracy Now, has recently reported that a permanent martial law occupying force that will go live in October of 2015. The martial law enforcement unit is the 3rd Infantry Division, 1st Brigade Combat Team. The mission is to serve as “an on-call Federal response in times of emergency”. According to the PBS report, the unit will be placed under the control of Northern Command. The martial law unit will be responsible for stopping civil unrest and engaging in crowd control. As an aside, when the terms “civil unrest” and “crowd control” are used, this can only mean that the 3rd Infantry Division, 1st Brigade Combat Team is rehearsing to subdue the American people in a martial law action. Goodman reported that the weapons of interest for this unit are primarily nonlethal. The first 50 seconds of the following Democracy Now video tells one all that anyone needs to know about what is coming and how this is being practiced for as I write these words. Even Fox and Friends would have a difficult time denying what is on video in this article as we have seen clear and demonstrable proof that Jade Helm related activities are connected with political dissident extractions of American citizens and this will be followed up with the roll out of a martial law occupation force. So, despite the fact that the MSM has embarrassed themselves in denying what is so painfully obvious, the military undoes all of this work designed to obfuscate the truth and basically admits to the fact that America is going under martial law and political dissidents are about to be treated as extreme enemies of the state. Why would the military engage in such a self-defeating revelation and sacrifice the element of surprise prior to subjugating the American public? I have a hard time believing that the military is not on board with the ulterior motives behind Jade Helm and this release of information is intentional in that they want to see a public backlash. Based on the available information, this is the only thing that makes any sense. These stunning revelations by our military are not unprecedented and they have happened before. On November 3, 2012, I wrote an article in which I detailed how elements of our military unsuccessfully attempted to rescue Ambassador Stevens just prior to his eventual murder. This action was an attempt at a soft coup directed at the Obama administration and came at a time when Obama was firing command officers at a time faster than their replacements could be seated. For 30 months, elements of the military abandoned employing another soft coup attempt because, as I have been told, they did not feel that they enjoyed the popular support of the public which would be a prerequisite for regime change. I would encourage the reader to read this article which demonstrates the extremely strained relationship between military command officers and the Commander-In-Chief. It now appears that elements of the Jade Helm task force are not fully on board with the full implementation of the objectives and we are seeing a moderate attempt to warn the American people. These warnings may be subtle, but to the trained eye, they are undeniable. The best possible outcome with regard to these revelations is to spread these revelations far and wide and see what develops by exposing much of the public to the realizations that “we are not in Kansas anymore”. The Cabal is losing their grip and are having many of their agenda/plan As foiled …. thus attempting to orchestrate ‘plan B’. They are in desperate mode on every level. I have read an account which the writer is pointing out that this Jade Helm is not about us the American citizen, but rather is designed to bring the Cabal down. I know this sounds way ‘out there’, but in my attempt to connect the dots I take any and all information !